Comedians make their living by using skill to find the laughter in everyday circumstances. They talk about all the things people deal with, including relationships, children, work and more. Audiences everywhere get the punchlines because they’ve seen the same quirks and hilarious outcomes in their lives. You’ll find plenty of laughs on YouTube, and these five male Christian comedians deliver the jokes with surprising wit, all the while keeping it clean. They discuss the stress of watching your child learn to drive, experiences on the first job and Batman, among other great topics. Drawing from their own lives, these delights on YouTube will have you cracking up and nodding with understanding as you hear tales from male Christian comedians who jump the hurdles of life with hilarity. 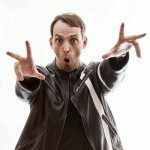 Nerdy stand-up comic Daren Streblow is aptly dubbed “The King of Uncool.” With his geeky approach to humor, he is become a favorite choice in the pool of male Christian comedians. With a syndicated radio program, The Daren Streblow Comedy Show, under his belt, Streblow rakes in the laughs as he talks about everything from his mom to his addiction in purchasing products from infomercials. 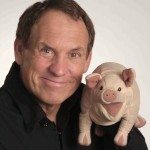 Offering hilarious comedy that’s fit for the family, David Dean brings a unique twist to the table by delivering laughs without vulgarity. He has opened for top names like Ken Davis, Chonda Pierce and Mark Gungor. When you hear him talking about the oddity of a teenager’s perspective, you’ll be rolling on the floor for hours. You’ll be holding your ribcage as you succumb to side-splitting laughs from Thor Ramsey. His clean comedy runs the spectrum on everything from business to family life. 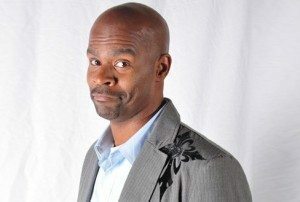 Ramsey has starred in the comedy “Bananas” and the DVD “The Clean Stand-Up Comedy Tour.” He resonates with audiences because he can find the humor in everything, and you feel like he knows all about you. 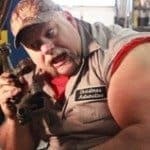 Fans everywhere love to hear fun poked at everyday life, and these YouTube favorite Male Christian Comedians will keep you laughing as you hear about eyelash crimpers, Gotham City, the benefits of driving a junk car and much, much more.